Orthodontists: More than Just Smile Crafters! Orthodontic treatment awareness month is here! With more than 1.2 million U.S. adults currently wearing braces, celebrate National Orthodontic Health Month with us by learning more about orthodontists and how they do more than give people a better-looking smile. Dr. Hardy of Belmar Orthodontics has been helping patients achieve healthy, beautiful smiles with state-of-the-art orthodontic skills and use of new technologies. When most people think of orthodontic treatment, they think of straightening teeth to achieve a more beautiful smile. And this is true. Orthodontic treatment does achieve this, but there is so much more behind the decision to correct your smile. At the heart of orthodontic treatment is your oral health and the health of your whole body. 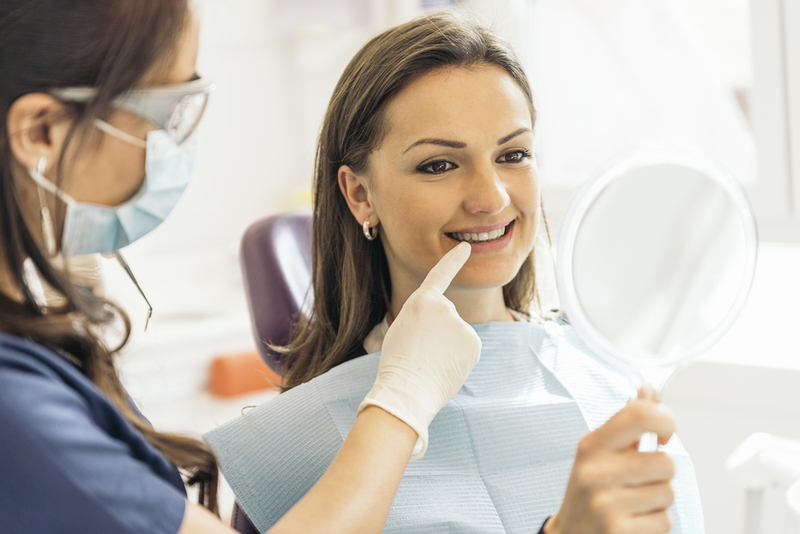 Misaligned bites, overcrowded teeth, gappy smiles–all of these issues can impact the health of your mouth which directly impacts the health of your body. One of the most pleasing parts of the orthodontic treatment process for any care provider is to watch a person transform as his/her smile transforms. When patients feel more confident about their smiles, they share them more. They feel more confident about themselves. That confidence has a ripple effect on everyone around them. Smiles that boost confidence also boost performance. One of the greatest gifts that Dr. Hardy can give his patients, and one of the greatest gifts you can give yourself or a loved one, is confidence in themselves. Orthodontic treatment helps offer that. Patients who undergo orthodontic treatment feel confident in the aesthetic details of their smile, but also in the health of their smile. The combination makes for a powerful duo when facing life and the challenges it can bring. Compared to general dentists, orthodontists also spend 2-3 additional years training in a specialized orthodontic residency program. In addition to this extra education, they commit 100% of their practice and continuing education solely to orthodontic care. This means that when it comes to dental health, you have expert skills and expert knowledge at your disposal. Orthodontic candidates are chosen from the top 5 percent of their dental class. Those who go on to graduate from the rigors of orthodontic training are those doctors that are passionate about their field, dedicated to what it takes, and gifted at their trade. Orthodontists are extensively trained in correcting misaligned teeth, adjusting occlusion (the way the teeth fit together), and treating jaw disorders. Dr. Hardy has received numerous honors and accolades during his educational pursuits and beyond into his practice endeavors. Belmar Orthodontics takes pride in our ability to work well with children and adults of all ages and make them feel comfortable during their visit. Our hope is to provide you with a positive experience, while simultaneously making your smile the best it can be. If you have questions about how orthodontics can improve your smile, or if you are interested in scheduling an orthodontic consultation with Dr. Hardy please contact us today at 303.225.9016.